522-MPU-DST is rated 4.3 out of 5 by 7. Rated 5 out of 5 by Landlord from sleek It looks simple and modern, the tenant uses it so no complaints. Rated 5 out of 5 by Barbie77 from I like the Delta Single Handle Lavaatory Faucet very much. I previously had a Delta Single Handle Lavatory Faucet and liked it very much. 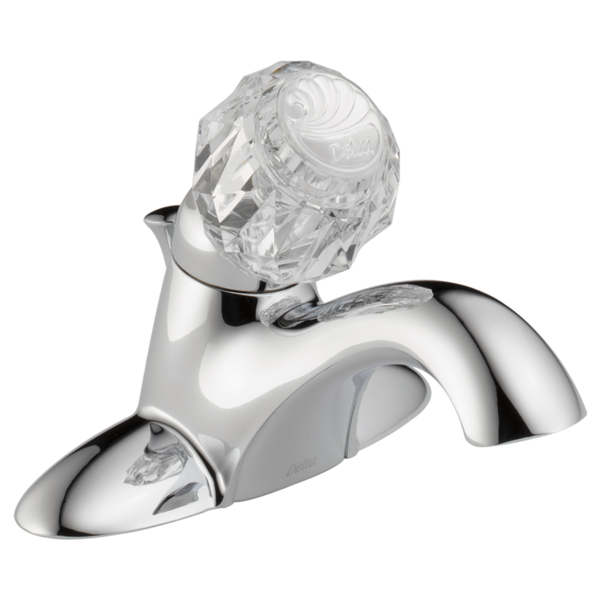 When I needed to purchase another one when having my home renovated I knew I would prefer to have the Delta Single Handle Faucet to use once again. 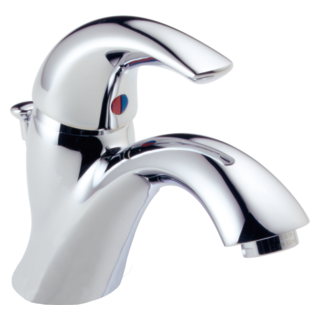 Since having the new faucet installed I am enjoining using it each and every day. Rated 1 out of 5 by SWMO from Poor quality, cheap "pot metal" construction I have used Delta products for years. Always been very satisfied. But recently remodeled my wife's bathroom, with new vanity and sink. The existing Delta faucet was in good working condition, finish still good, etc, but since it was 16 years old, I decided to "update" and replace. Bad decision. I had no doubt that I would purchase another Delta faucet. 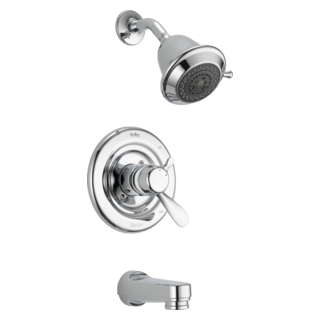 And after considerable online research, I decided on the Delta 522MPU, Classic Chrome, single handle , center set, bathroom faucet. I paid $89.98 at Locke Supply Company, Joplin, MO. I have never been so disappointed in a Delta product. It looks nice, but beauty is only surface deep. This faucet is a piece of junk. Feels like it is chrome finished plastic or pot metal. Very noisy, etc. My old Delta faucet is made of much heavier material, and is much more durable. How Delta could tarnish their good name by putting out this faucet is beyond comprehension. Needless to say, I will no longer buy a Delta product based on brand name alone. By the way, I cleaned up my old Delta faucet and had it professionally reinstalled. Works just fine and I expect will give me many more years of service. The old saying "newer is not always better" certainly holds true in this case. Sorry to give such a negative review, but I am so put out over the time and money expended that I just could not help but make this negative review of a bad product. Rated 5 out of 5 by Kath from prroduct is very nice looking So far this product is very good, we have only had it for one month,so hopefully it will be this good years from now. Rated 5 out of 5 by mardawson from Great Faucet The Delta 522 is a great faucet; even the plumber was impressed. Great customer service; the salesman was courteous and helpful. Rated 5 out of 5 by CCTN from Prompt service Product was shipped quickly and arrived ahead of estimated date and in excellent condition. Looks great in the bathroom. 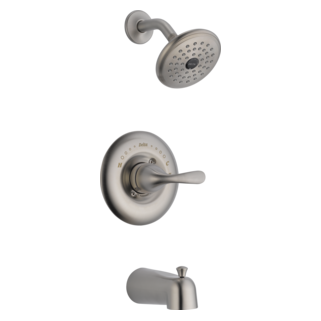 Rated 4 out of 5 by Linl from Faucet is attractive and nicer than I anticipated. I had wanted brushed gold, but it doesn't seem to be available anymore. Is the body of this faucet a plastic molding or cast metal? If plastic can you tell me which of your bathroom faucets bodies are made of metal? Will the pop-up assembly fit the discontinued model 522-WFMPU? I have a Delta 16 year old lav faucet with plastic handle single lever that drips on the hot side when off ,it dose not leak on cold side would like to fix can you help me?